The Center for the Logic, History and Philosophy of Science is organizing its fourth graduate conference for advanced master and PhD students working on early modern philosophy and on the history and philosophy of science. 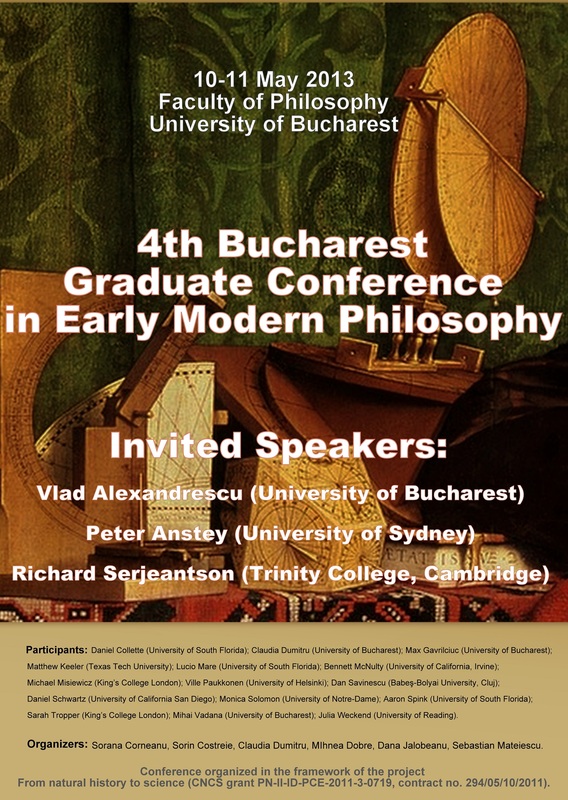 The event will be held on May 10-11, 2013 at the Faculty of Philosophy of the University of Bucharest (Splaiul Independenţei, 204). Organizing Committee: Dana Jalobeanu, Claudia Dumitru, Mihnea Dobre. 17:30-18:30: Vlad Alexandrescu: Some Remarks of an Intellectual Historian Facing a Herculean Task: Translating Anew Descartes’ Correspondence. 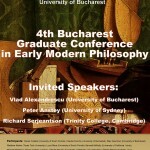 "4-th Bucharest Graduate Conference in Early Modern Philosophy"